From cottage-made jewels woven in small villages to unique gems knotted in established weaving centers in major cities, almost every important rug-producing region is represented at GENERATIONS RUG GALLERY Chicago. The Generations Antique Collection features rugs from 80 to 110-years-old and older. You'll find a strong selection of ancient Persian designs to choose from, including Keshans, Bidjars, Tabrizes, Kilims and more. Other vibrant pieces include Caucasian, Indian Agras, Chinese and European designs. The Generations Decorative Collection offers an excellent selection of new handmade rugs. We've gone to the best sources in the world in search of the finest, new, handmade rugs. Not only do we ensure colors are compatible with the latest design trends, but we also use our expertise to look at design harmony, weave integrity and overall color balance for a new rug that will stand the test of time. We will never sell a new rug as an antique, no matter how aged it looks. 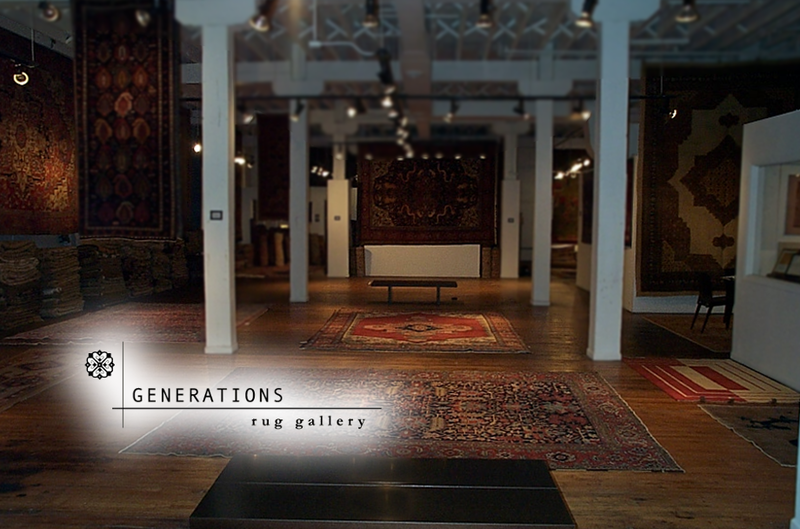 Geared specifically and exclusively to the design trade, GENERATIONS RUG GALLERY invites design professionals to share the expansive Generations Antique Collection with their clients. We welcome you and look forward to becoming your source for quality new and antique area rugs. Make an appointment to see us today.